Tags: coloured seed packets, seed packet favours, wildflower seeds. 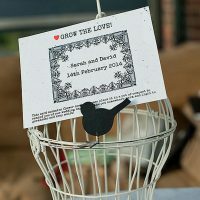 Categories: Unusual & Unique Wedding Favours, Personalised Seed Packet Wedding Favours, Recycled Coloured Packets. 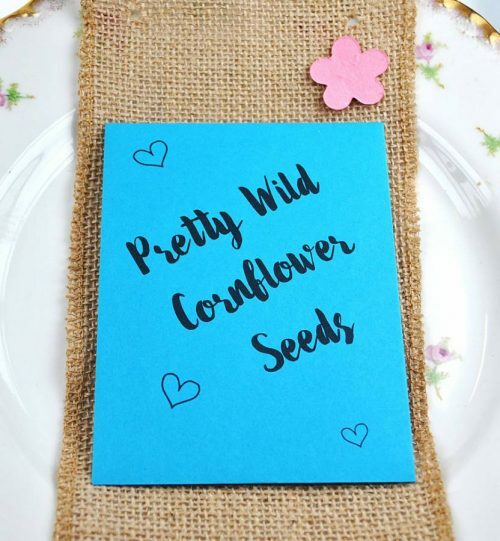 We love this recycled blue Cornflower seeds wedding favour seed packet! Other wedding businesses only offer manilla seed packets but we have a variety of colours available, blue being one of them! 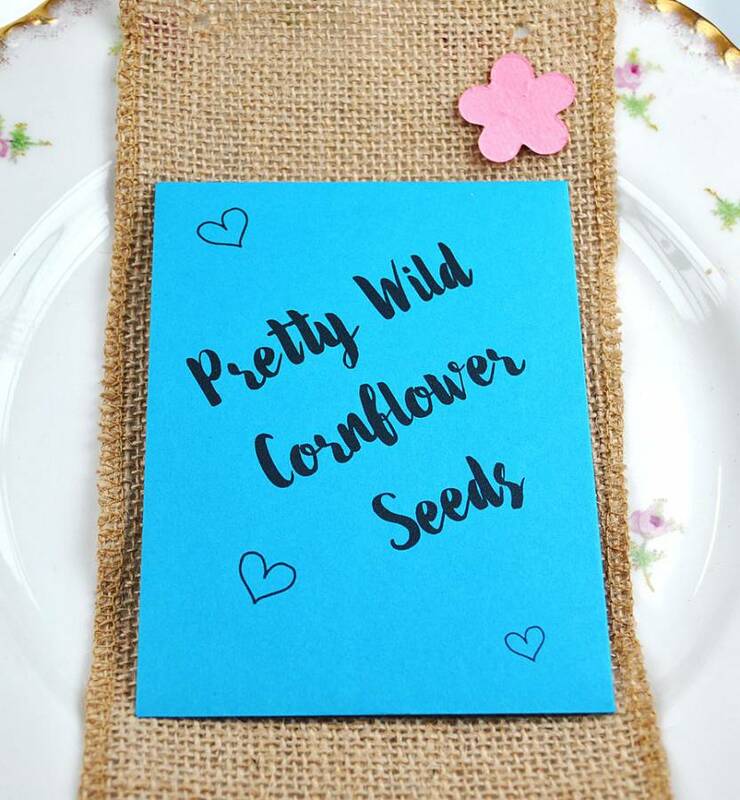 This seed packet measures 9 x 12 cm and is made from thick, quality recycled paper. 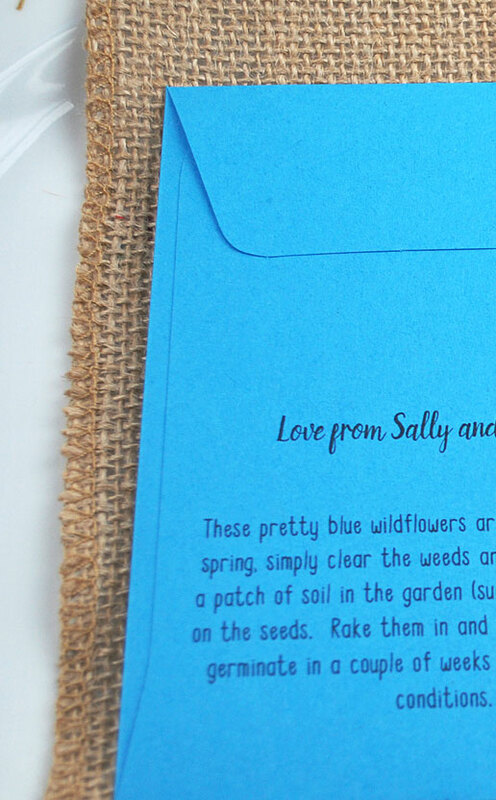 The sowing instructions are printed on the back of the packet, as well as the bride and groom names. 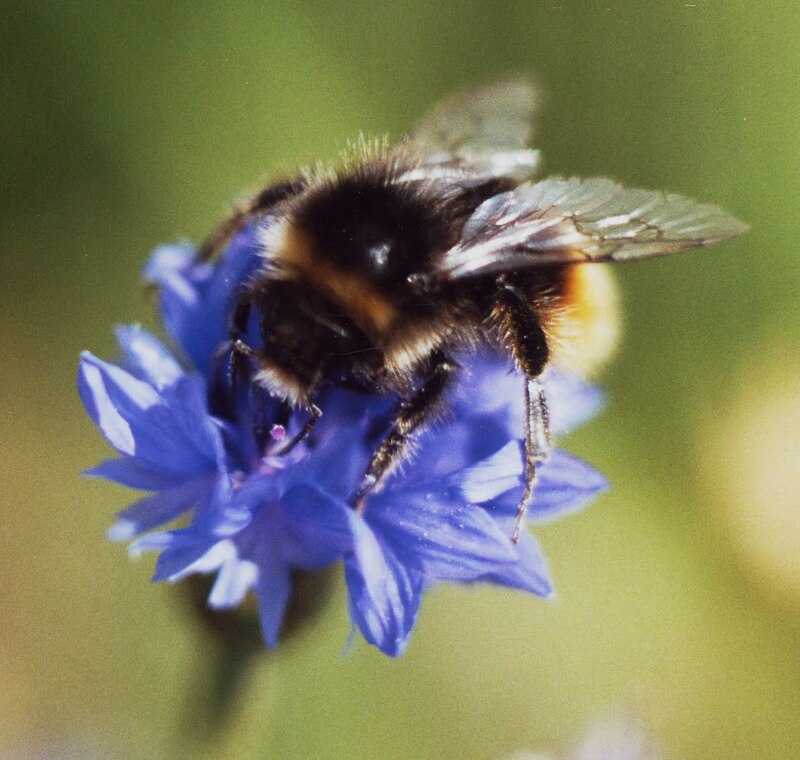 The seeds are British-grown Cornflowers, which bees in particular love. A fab, bright wedding favour, and also great for helping our native bees! Please let us know your names in the box above. Cornflower seeds are so easy to sow – simply choose a sunny, weed-free spot (or a pot of peat-free compost) and sprinkle on the seeds. No need to cover them with soil/compost – just gently press them into the soil. Water well and wait for them to germinate, watering if necessary. 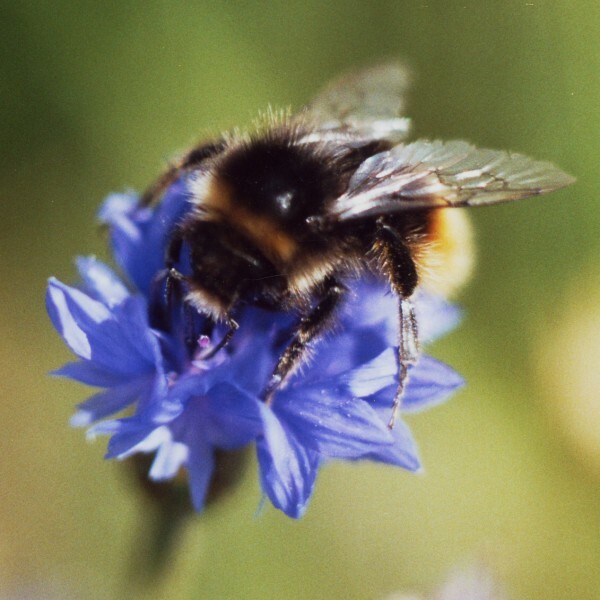 Cornflower (centaurea cyanus) is an annual wildflower also known as Bluebottle, Batchelor’s Button or Knapweed. The plant has pretty blue flowers on stems up to 2 ft (60 cm) high. Butterflies and bees love it! It is a rare wildflower in the wild, being previously a common corn field weed but as it blunted sickles when harvesting, it was gradually eradicated. Its name centaurea comes from Chiron, the centaur, whom the plant cured when an arrow tipped with the blood of Hydra wounded him. Since then the plant has been assumed to drive away snakes. The cyanus part comes from Cyanus, who loved the plant so much he spent all his time in corn fields making garlands from them. When he died, the goddess Flora transformed him into the plant. 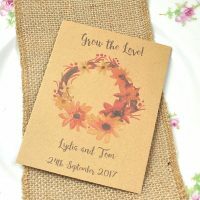 Marigold Seeds Wedding Favour – Marry-golds!